Hotel Casci is "our home" in Florence center from generations, and we want our guests to feel really welcome and constantly assisted with suggestions and personal help to enjoy every side of our enchanting city! And of course we shall be happy to make museum, restaurant and tour reservations for you. We know it is important to start the day properly! Before you start exploring the sights of Florence, we serve you a delicious all-you-can-eat breakfast including a selection of cereals and yogurt, soft and hard boiled eggs, fresh fruit, pastries and sweet cakes, fruit juices, cheese, ham and salami. And of course that needs to go along with a freshly made cappuccino and/or coffee (either Italian espresso coffee or the softer international coffee). You eat in a large frescoed room with other hotel guests, so it’s very easy to exchange travel tips and stories. Children are always offered fresh-made hot chocolate, which they enjoy very much! Whilst our main buffet breakfast time is from 7:30 to 10:00, the night porters are instructed to prepare a lighter breakfast for guests leaving early in the morning, and we always prepare with pleasure some coffee, croissants and juice for guests who like to linger in bed and get up a bit later!! Also, we are happy to provide gluten-free breakfast for our celiac guests, as long as they let us know in advance. Guest coming from Chine and the Far East may also enjoy different kinds of noodle soups. In the lobby you will find a coffee shop to enjoy your favorite cocktail and a library of travel guides, maps and books that you can take to you room to easily plan Florence sightseeing or Tuscany trips. All rooms and common areas of Hotel Casci offer a FREE Wi-Fi Internet connection to easily share your travel adventures in Florence with your laptop, tables or smartphone! Some tablets are available free of charge for guest who do not have their own. As we are so centrally located, we have negotiated some parking places in a private garage just behind our building, at the cost of about 25 euro per night including valet service. We strongly recommend making them for the Uffizi Gallery and the Accademia (David), as lines are often long – just let us know the day/time you would like to make the visit. 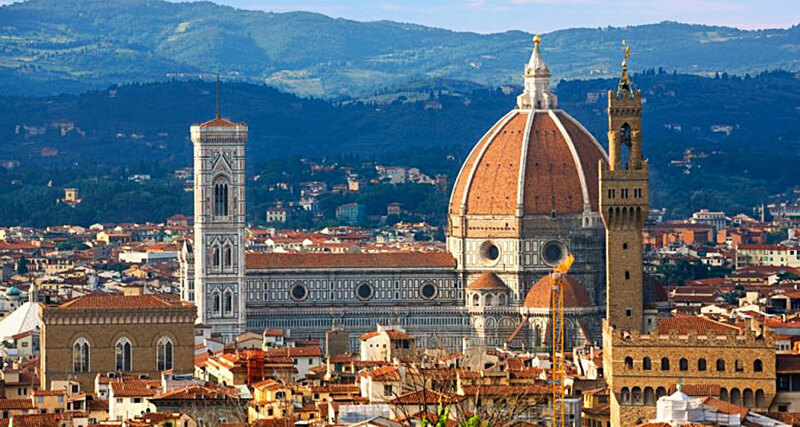 Organized by local companies – these tours include the city tour of Florence, Pisa, Siena/San Gimignano, Chianti vineries, Lucca, and the shopping outlets. Daily walks are organized around Florence by local guides, exploring the centre of the city and the main museums and also some other areas off the beaten track. Accompanied by a private guide and/or car and chaffeur (of course at a much higher cost). Again, we shall be happy in providing you time schedules and cost estimates.